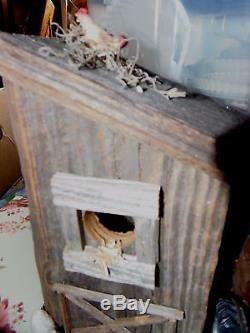 This is a handcrafted handmade Birdhouse. Dimensions are approximately: 12 L. X 12 1/2 " t x 9" Should be perched on a shelf not hung. 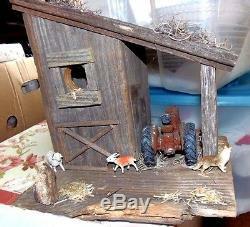 Can be used as inside or outside Decor or outside as a birdhouse. Slight imperfections may be found due to age and natural characteristics of materials used. All theme inspired creations are one of a kind. And the results of the artists imagination. 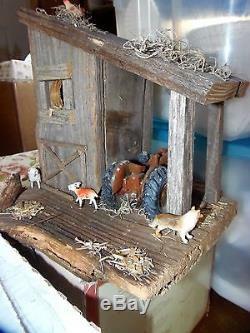 All Handmade by 75-year-old woman, who has hundreds, all handmade with very detailed items. Check all the unique items. 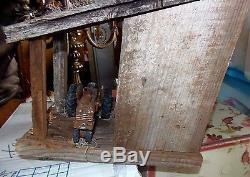 Check out my other Items in my E-Bay store. 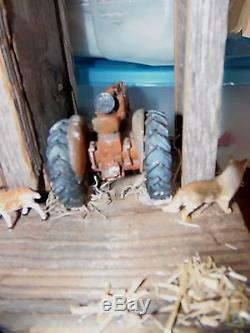 The item "Bird house Folk Art Tractor, dog chicken Handmade, Natural wood" is in sale since Tuesday, February 21, 2017. This item is in the category "Art\Folk Art & Indigenous Art". The seller is "randalls3poodles" and is located in Florence, South Carolina. This item can be shipped to United States.